FROM 1 March 2019, the government has changed the Medicare rebates for GP visits to residential aged care facilities (RACFs), which most of us know as nursing homes. The government has pledged $98 million over 4 years to “fund increased payments to GPs to attend RACFs … This recognises the important role of GPs in supporting the health and care of patients in residential aged care”. This decision is in response to what the government perceives to be a lack of engagement by GPs in nursing homes. Given that we live in a time of rebate freezes (perhaps there is a mini-thaw at present) and Medicare Benefits Schedule (MBS) review, it seems extraordinary that the government is pitching what it calls an “increase” in the rebates. This is not the first time. In 2007, before Kevin Rudd’s landslide election win, there was a substantial increase in the rebate for RACF visits. Not long after that, an Aged Care Access Incentive (ACAI) was introduced to further incentivise GPs to visit nursing homes. It all begs the question: why do most GPs not bother with nursing home visits in the first place? Let’s not beat around the bush. If visiting a patient in a nursing home paid as much as a facelift, a botulinum toxin session or a robotic prostatectomy, I’d not be writing this article. The new Medicare items feature a flag-fall fee of $55 to most GPs for every new visit to an RACF. This applies for every new visit, so if one gets called to a nursing home four times in a day, four call-out fees of $55 can be charged. This is to compensate for the travel time and disruption of each call. Let’s analyse what this means for a standard visit of 5–20 minutes by a vocationally registered GP. One may see this is a stroke of actuarial genius: a small reward for those not so busy, a good reward for those who see a good number of patients, and a punishment for those who overservice. However, I see it as nothing but window dressing. At a time when the Medicare rebate for standard consults is lagging about $45 behind what it should be (comparing the Medicare scheduled fee to the Australian Medical Association fee of $81), suggesting that the above increases are an incentive is delusional. Let’s be clear. A GP sees five patients on a visit and is $7.50 in front, a grand total of $1.50 per patient. The GPs who access this payment have to wait for a quarterly payment, but it rewards those who consistently visit nursing homes to the tune of $25 per consultation. What many have not realised is that the ACAI is about to be removed under forthcoming changes to the PIP. Therefore, the GPs who have been reliably visiting RACFs are in fact going to be significantly disadvantaged. Another money problem with nursing homes is that GPs find it very hard, if not impossible, to charge private fees. This is a combination of the nature of the patient, the administrative difficulties in issuing invoices and chasing payment, and general attitude in the industry and community that one should bulk bill nursing home patients. The other major frustration is time. it takes time to transport patients to specialists and allied health professionals. In 2019, everyone is busy and time-poor. All the factors above – and the list is far from exhaustive – mean that most doctors simply throw their hands in the air and do not bother with nursing homes. While not as bad as having patients on a ward or being on-call for a hospital, having nursing home patients is disruptive. The calls and messages interrupt the flow of the office day and personal time after hours. Other frustrations GPs face at nursing homes were outlined in my recent article on the Aged Care Royal Commission. Therefore, I remain sceptical about the “government improvements” to RACF Medicare rebates. In fact, for the reasons outlined above, I think they are a failure. 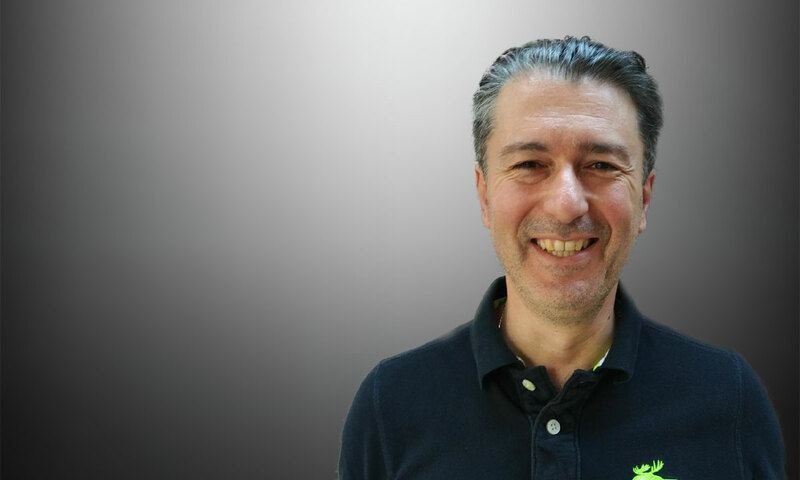 Dr Aniello Iannuzzi, FACRRM, FRACGP, FARGP, FAICD, is a GP practising in Coonabarabran, NSW, and a clinical associate professor at the University of Sydney. Thankyou Aniello for making sense of these changes. 1. Have no equipment with which to carry out an examination & assessment of a patient. It is unreasonable for us to have to assess elderly, frail patients with only the tools we can carry in a doctor’s bag. They should have the basic equipment found in any GP surgery. 2. They do not have any clinical software on their computers which are familiar to or usable by GP’s. Surely it would not be impossible to have MD, Best Practice or ZedMed on their computers for the doctors to use. This would result in better patient care, increased efficiency and save time since the consult notes could be printed out and taken back to the surgery for our own records. The entries would also be typed and therefore legible reducing errors. or…are we striving for “efficiency” or cost-effective use of our time and business assets? We must follow the money if we want to keep the business’ doors open. The money seems to lead most to maintaining turnover of “free at the point of delivery” services in rooms. When society places at least equal value (through MBS rebates) on care for some of our most vulnerable elderly patients THEN we will see businesses investing their time and staff in providing that care. This latest cut to the docs who see large numbers of RACF patients in organised fashion is yet another blow. It might help the “occasionalist” but why would they then commit to MORE patients for LESS return? Perhaps we should be thinking about another model that supports GPs? In my experience, the closest that we get to quality High Level Residential is in single-practice rural towns. This is where we see Primary Care as it should be, personal, cradle to the grave, equal care in every setting, with a full understanding of the patient’s bio/psycho/social situation and the capacity to case manage and be the leader of the clinical band. This takes time and skill. A proceduralist specialising in one surgical procedure can earn large amounts of money with the Medicare rebate and often a surcharge in the time that it takes a GP to get a paltry rebate that does not recognise the value of the visit. Don’t expect the Royal Commission to change that. The major systemic problems with what passes for Aged Care is being tacitly accepted as the norm by peak bodies giving evidence to the Commission. The system is sick, and the Commonwealth is an incompetent provider. Yes, this article accurately sums up the farcical beliefs by the Department of Health that they are 1. Adequately funding RACF visits -ie: GP’s generate easily twice as much/hour in their surgery and with the 1/5/19 $5000/yr reduction that’s 2 level B RACF visits/week equivalent lost ! . 2. Going to have adequately skilled AND experienced GP’s going to RACFs , rather than under skilled and inexperienced random Locums,that will provide grossly flawed ,and fragmented care to patients they don’t know at all. I started caring for residents in ‘nursing homes’ in 1974 (and I continue to do so) and I have seen many changes. A stand out feature has been the rise of ‘management’ and this has made our work a lot more problematic. In days past we would have direct contact with the ‘Matron’ who took great pride in the standard of care and was always available and who appreciated our role as visiting GP. Matrons would walk the ‘wards’ every day and knew each resident and their family members very well. Life was good…. Now we have highly paid ‘Management’ that lock themselves away from the day to day care, have endless meetings and construct ‘Newsletters’ giving the impression that the their ‘Home’ is the best. The RNs on the wards (who do a great job) seem to be disregarded. A year ago, ten GPs who visited a local RACF wrote a letter of concern to the Board Chairman seeking to meet him in the local café and ‘have a chat’ about declining staff morale, a high use of ‘agency staff’, dysfunctional and risky medication charts and poor communications. The Chairman refused to meet our delegation and just referred us back to his CEO. Since then some of us left (myself included) and the other GPs just stopped taking ‘new’ residents. I continue to visit residents in another RACF but I insist on direct lines of communication and go out of my way to seek out the Nursing Supervisor but there is no contact with the CEO or any of the Board Members. There is a huge, industry wide disconnection between clinicians and management – both in hospitals and RACF’s. RACF’s need to change, accept GPs as useful people with helpful suggestions and dismantle the ‘management hierarchy’. Our practice only started bulk billing nursing home residents in 2007. Before then, we rendered accounts and patients and relatives accepted us as ‘private doctors’ and we were appreciated. Now, as we ‘bulk bill’ residents, we are just part of the ‘system’. Our patient care continues but we often get no thanks or recognition for all the work we do. One can spend a whole weekend going to and fro with a palliative care patient and not hear a peep out of the relatives after the patient dies. The new fee structure just rubs salt into the wound because if we return to the RACF on later on the same day to review that resident’s palliation, our visit will not quality or the ‘call out’. Why havent the AMA or RACGP called Greg Hunt out for the Nonsense that this so called Incentivisation is ?? An extra 6/7 Dollars Wow & if the ACAI is removed GPS are worse off Honestly we are being treated like Mugs while the Health Minister “grandstands” to the Voters >Where is the Leadership?? We are all missing the biggest issue guaranteeing the abject failure of the Departments proposed model of funding. That is the fact that over 75% of GPs are “employees” in the sense that they expect as high a % of their income generated as they can get ,either from their privately owned practice or a corporate. Doctors that are used to chasing the dollar as so many are in regards to where they seek employment are not interested in engaging with the grossly underfunded work in the chaos of RACFs. Places where we have no standardisations of Medication Charts, random policies varying across sites, uncontactable and difficult relatives,and worst of all Agency nurses who constantly underperform causing risk and suffering to patients. Relatives of aged patients are often the EPOA and need to be properly engaged in the decision-making. This can require as much time if not exceed the time spent with the patient, especially if family members are not in agreement. All such details need to be carefully documented in the event of a complaint. Is there an Aged Care item number for this? Aged care is more a labour of love as I pass retirement age but keep going in a rural community where very few Drs visit due to lack of interest, lack of remuneration, lack of experience and lack of old fashioned GP care for their patients. Fair payments would only help part of this dilemma but are way overdue for the unfunded oncall that is a permanent part of the “deal” with ACFs. Thanks for this article.GP’s manage some of the most complicated , high risk situations with the minimum of resources and a high risk of getting sued because so much work is done remotely and because there is not the nursing staff you can rely upon. I really cant make a up a fee that covers me adequately for me time and stress. This is charitable work, but not all the organisations we work for are charitable. Can we address the massive profit organisations make off our work and ask, why are the shareholders not helping? . Where does their responsibility lie. Is it it fair that a profitable orgnisation, or one with lots of assets, knowingly is cutting corners and relying on altruistic GP’s who frankly can barely do an adequate job because of lack of support. Can we not lobby the RACF’s ourselves and demand a safer environment for our patients. Why must we seek redress only through a rebate.? Why cant these facilities be forced to build charitable infrastructure for the whole community ? The government seems pretty impotent calling on structural change. GP’s are soft targets because we get the pressure directly from our patients. Of course this work seems to be falling to fewer GP’s, prepared to offer visits, after hours and I have to be honest , after manny years, my good will has run out. I only provide emergency care to RACF’s. Thankyou to my colleagues who provide this care, but you may be enabling greedy business. I agree with what everyone has said. On call RN available to go on round with the visiting GP & software program installation in the system so that we can work more efficiently. Older people do not always choose to be in care, or for that matter, the funding mechanism by which their doctors are remunerated. Ageism would appear to be alive and well when a few dollars can influence whether doctors decide to make aged care visits. The reality is that often doctors are voting with their feet and many are choosing not to attend aged care facilities because of a number of perceived obstacles, including financial reward. Some deep reflection is required by both government officials and the medical profession on what “care” really means, in order that older people in care do not end up being treated as second class citizens in their own country. The Royal Commission may yet prove to be a catalyst in this respect, but apparent economic rationalism will continue to be a significant barrier. Its been sold as a ‘win’ for GP’s by the Govt and ‘welcomed by the AMA & RACGP’ . Dr Ianuzzi’s arithmetic clearly shows that there is no ‘win’ for us – particularly if the loss of $5000 PIP is taken into account. The fees do not reflect all the unpaid work we do – phone calls from poorly trained staff, speaking to families and script writing for no payment. It is interesting that so far, there has been little criticism by The Royal Commission’ of the work GP’s do in nursing homes. I reckon we do an excellent job for poor pay. The Government takes advantage of us ? Thank you Nello for taking the time to point out out how GPs have again been dudded by the Feds. Great article. Seeing more than 17 residents in one visit is not over servicing, should not be being penalised and is the preferred model. Although not ideal the only efficient way to provide medical services to a RACF is to limit the number of visiting GPs. The days of 10 GPs turning up at lunch time to see their couple of residents didn’t work and had to be discouraged. Also driving 30 minutes across town for a 5 minute visit also had to killed off. Its hard but now to ensure good quality medical care to your patient that enters a RACF not aligned to your Practice you must hand them over to the doctor or Practice that vusits regularly and have good systems in place. RACFs with these arrangements employ an additional RN to accompany the regular GP on his or her scheduled round and most residents are seen. Rounds in a RACF are not dissimilar to hospital ward rounds apart from the fact residents of RACFs are usually sicker. The challenge is always what not to do rather than what to do and what medication to deprescribe rather than prescribe. The changes to the MBS and DVA item descriptors and the cessation of the MBS incentive payment are incomprehensible, potentially disastrous, and demonstrate how out of touch the DOH and less so DVA (tend to just copy) have become. Fortunately they have screwed up a little and until the DVA is closed down iis reasonable to bill both DVA and MBS the flag fall fee as both insurers have reduced their rebates by abandoning the ready reckoner system. The one clarification I would make is the MBS states the flag fall or call out fee is for the extra work attending RACF residents. It rightly is not for travel time etc as there are a considerable number of GPs that don’t work from a Practice and are based at RACFs. Thanks Aniello – great article which provides clear analysis of the changes and impact on GP’s income. However, if I remember correctly, when these new RACF item numbers were first announced both the AMA and RACGP were initially positive and supportive, and it was only when coalface GPs who visit RACFs regularly began commenting on blogs re the loss of income that the real impact was realised by our professional organisations. It would be nice to understand how that situation came about as we will undoubtedly be relying on these two organisations to undo what has occurred, and to protect us from further stealth decreases in funding confected as increases in the future. Another great article describing how bureaucratic interference in our medical profession affects the public, this time our aged care industry. As the saying goes, ‘you pay peanuts, you get monkeys ‘. Doctors are not monkeys! Add to all of the above the fact that every RACF has a different computer program which we must learn and that is providing the computer is not down! Add in the frustration and disruption of frequent night time and weekend calls from often very junior nursing staff. No payment for these calls and often visits that are not always needed as information given over the phone isn’t always accurate but the medicolegal risk remains the doctors. So the pharmacists were going to have their dispensing fees reduced by the introduction of 2 months supply. What did they do? Mounted a vigorous campaign and took out a full page add in the Australian. Hunt caved in. Time for the AMA to the same over the Aged Care Incentive payment. GPs around Australia will withdraw from RACFs unless something is done and the residents of RACF will be the losers. The sad truth is that visiting RACF’s is simply a charitable act performed by a diminishing number of GPs. The lack of value placed on this service reflects the attitude that society and governments place on the elderly. I am a GP who visits a nursing home 2 days a week for 7 or 8 hrs a day. I work constantly seeing patients and relatives often without a break. I take after hours calls and do scripts at home. I see on average 25 patients a day so I am being financially punished by the changes for providing a regular and what I consider good service to my patients. Nursing home patients are often complex. The changes to remuneration may well see GPs reduce the number if patients they are prepared to see. I have adjusted my practice over last 9 years to provide a reliable and constant service to 3/12 nursing facilities in town. It took considerable effort to overcome challenges and to adapt to circumstances different from mainline GP practice. We need to provide notes in a non GP software system so RACF’s can have continuity of care and also fees according to medical diagnoses and complexity of care – GP essential in determining that. We also need to be able to receive letters, results etc electronically and write referrals etc in GP software which need to be copied to the RACF systems. I have tried and approached RACGP to write accreditation standards for a Aged care based GP practice on similar grounds as GP obstetricians or GP anesthetists but this has not realized in 9 years just as funding its pushed on the back burner. Aged care is still constantly ignored, I feel our representing bodies is increasing out of touch about the complexities of aged care and has been led by the nose in letting down funding. The most cost effective model of health care to aged care patients is to look after them where they live – in RACF’s- and to keep them out of hospital. It means GP’s to visit and maintain care. We proved to cut A and E referral rates by > 90%, saving huge dollars and sparing patients huge discomfort/distress while getting same or better outcomes especially for dementia patients. To now get $55 dollars initially, then exact similar fee for each patient seen in RACF compared to ones seen sitting comfortably in a practice is a disgrace to the value of GP time and effort and slap in the face of any GP delivering services to a RACF. The most disappointing consequence is that the present incentive ( (and removing AGE CARE PIP) is not going to attract any new GP’s (especially the next generation) to aged care. To ignore the growing population of a ever more frail population in age care facilities is short sighted and will cost dearly. Who will do end of life care. Patients dont want to die in hospitals and only a small number are able to die at home. We provide full palliative care/end of life care in house in allRACF’s where I work because THERE IS A GP THAT CAN DRIVE that and can support care staff and families. It did not come automatic. It will fall away if GP services reduce. Nursing homes provide “hospice” services to an increasing number of patients that would otherwise die in less ideal circumstances. We only have 8 palliative care beds servicing a population of well over 80 000 and a totally overloaded Base Hospital. Aged Care is not going to disappear but the government and our representing bodies can do a lot more to drive a positive age care heath force and provide much needed services to the present generation who made this great country the country it is today. They need the same quality of care, respect and dignity where they live as what we expect for ourselves. GP’s are essential to ensure that, as no other health occupation is willing and appropriately trained and positioned to provide this. I visited nursing homes as a hospital specialist (Emergency Physician) in program to attempt to reduce hospital attendances by nursing home patients in inner Melbourne. We were paid $250 per hour call out fee with a $75 hourly on call fee. We were picked up from home by a nurse with a car who did all paperwork and streamlined the process. The patients stayed in the nursing home but were enrolled in a ‘hospital in the home program’ which netted the hospital a bed-day-stay reimbursement from the Federal Government. The skills and treatment regimes are no different from those used by most GP’s today. Go figure who is respected for their worth and contribution.